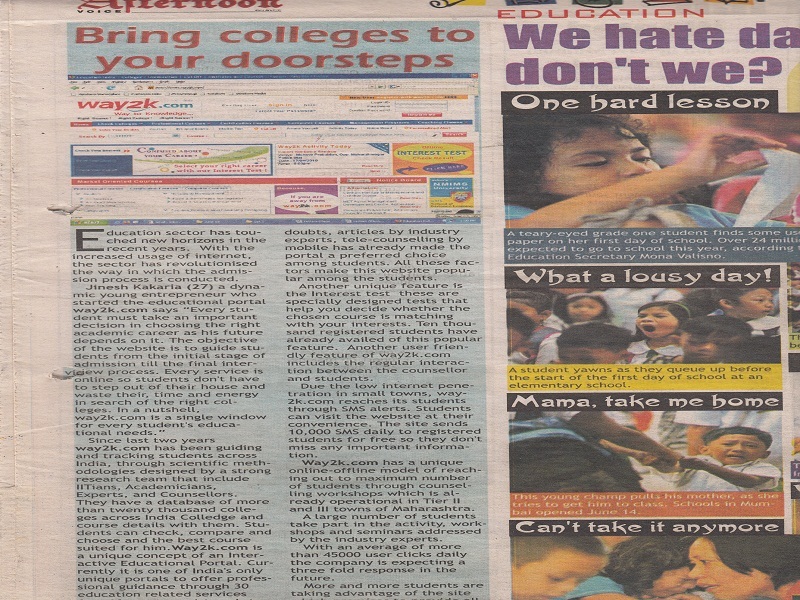 way2k.com was covered extensively by Afternoon, a popular Mumbai Daily. 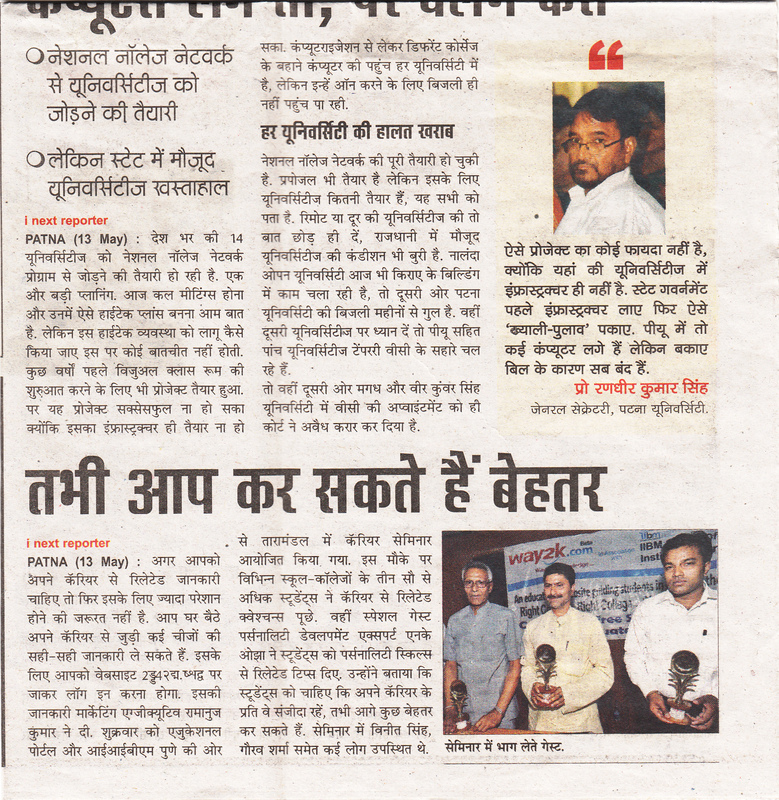 way2k.com co sponsored book fair at Patna, attended by eminent personalities of the field. 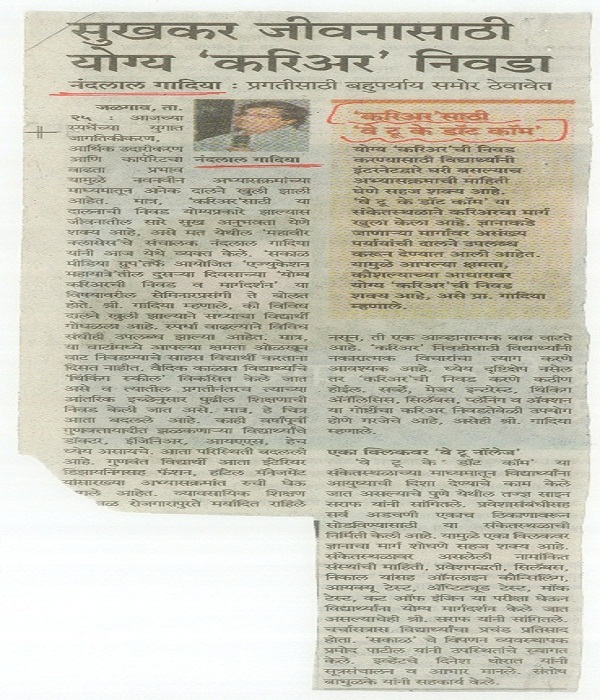 way2k.com, one of the sponsors of the Sakal Education Mahayatra, had Dr.Shreeram Geet, an eminent personality in the field of career counselling, talk on career choice and guidance. This event was held in Pune. 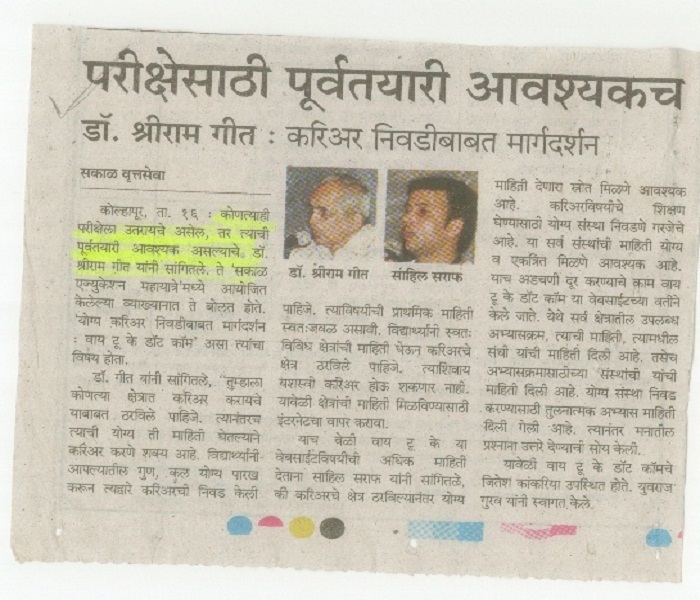 way2k.com, one of the sponsors of the Sakal Education Mahayatra, had Mr.Nandlal Gadiat, an eminent personality in the field of coaching classes, talk on career choice and guidance. The event was held at Jalgaon.